At GREENTEK SOLUTIONS, LLC we strive every day to provide the best service to all of our clients and part of this is to comply with all applicable federal and state laws in social and environmental matters. We continuously monitor our policies and procedures for the management of our clients' IT assets, creating the least environmental impact. GREENTEK SOLUTIONS, LLC is registered by the EPA (permit #TXR000084359), complying with the federal requirement, we take care of properly recycling all the material received by our customers. We comply with legal standards for the recycling of IT assets or electronic waste and its correct disposal. GREENTEK SOLUTIONS, LLC is an active member of the Microsoft Registered Refurbisher Program®, which allows us to offer original Microsoft software (Windows and Office) to local consumers and businesses, as well as qualified charitable organizations, academic users and specially approved recipients, on all our reconditioned equipment. 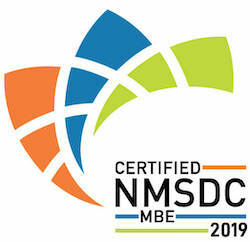 We are Certified in the NMSDC as associated suppliers within the globalized corporate supply chain, to offer products, services and solutions to more than 12,000 larger public and private companies, as well as health companies, colleges and universities. GREEN TKSOLUTIONS is an active member of the AscdiNatd®, certified to buy, sell and service technical equipment and telecommunications solutions. As loyal members, we honestly provide remarketing of IT assets, through the Online Equipment Trading Network at discounted prices. We are a NAID® member to offer secure destruction of information services, following the legal standards to do so. We meet the needs of companies around the world to enforce the numerous laws and regulations that require the protection of confidential information of all our customers. FACTA Final Disposal Rule requires the destruction of all consumer information before it is discarded. The HIPAA Security Rule. It complies with the requirements of technical, administrative and physical protection, with all the business associates of the company. We offer reliable protocols in accordance with industry accepted standards to safely eliminate or physically destroy media.